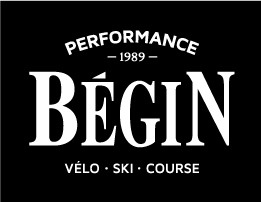 Since 1989, Performance Bégin has acquired a solid expertise in the field of cycling, skiing and racing by offering products of reputed brands and guaranteeing a personalized service fast and courteous. Situated at the border of Cap-Rouge and Saint-Augustin, Performance Bégin's shop offers its main products and services year-round while being optimized according to the season. It has nothing to envy to supermarkets as it only finds quality products in well-known brands at competitive prices, all framed by a personalized and attentive service. Our team of passionate consultants will guide you in the right choice according to your needs and abilities.